Form yesterday I have started a weeklong detoxification and weight loss program. Its quite strict and this is the first time I am following one such regimen. Everyone in the family think that I should have started this long ago but the procrastinating me have been avoiding this for 6 months. But now as the biggest festival of Durga puja is approaching I cant deny it any more…atleast if I wish to look presentable during puja, this is high time to kick start the weight loss program. Yesterday I resisted to blog hop as your mouth watering pictures will make me loose patience. But today am more stable and with a strong mind am going to visit all you lovelies to see your yummilicious dishes. The dishes that I am sharing today are the everyday dishes that you will find in all Bengali families. 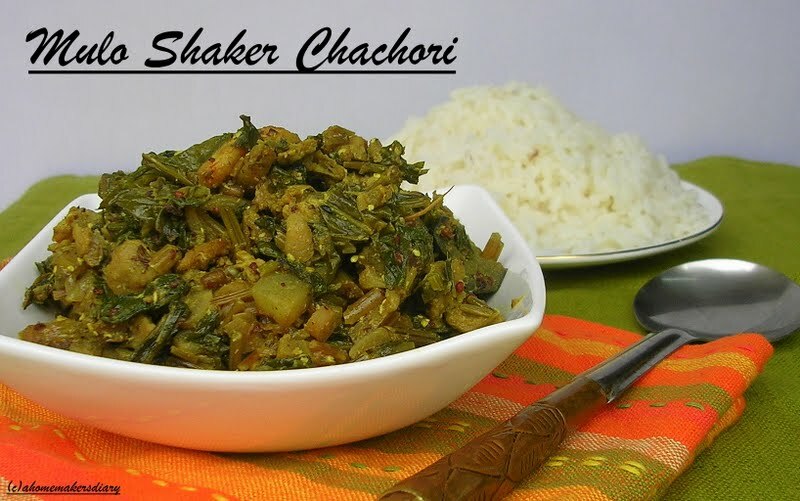 One is the mulo shaker charchari (raddish greens in mustard paste) and another is the ….which I shared on my very first post. But reposting it, as I believe hardly anybody might have seen that. Both these recipes are very versatile, you can replace the vadis with prawns or fish oil or small fishes or can give it a miss altogether. This is how my Maa cooks it. Am giving the old recipe first as that is more detailed. Note shaak (sorry as I don’t know the English name of this) these are sold in a bunches (as we call it ‘aanti’.) Am not sure about its weight but guess it would be 150 gms or so. Mustard paste: 2 teaspoon Mix in a cup of water and keep aside. (In Bengal to make our masala paste we mostly use shil nora or shil batta in Hindi (mortar and pestle). but here I use my Mixie for all the dry and wet grinds. Though I have a chutney jar in the set still it’s difficult to make finer paste with less amount. So I just store the excess in an airtight container in the fridge. When I got married and came to Bangalore for the first time Maa gave me some mustard powder to use in cooking till I get my mixie. Though the taste is not as good as freshly ground mustard paste but still could be a good option if you don’t have any tool for grinding and is very convenient as well. She generally sundry the mustard seeds for a whole day and then makes fine powder in the mixie. Once you have this all you need to do is add water and make a paste. Pick and wash the shaag thoroughly and then finely chop them as finely as you can.Without peeling cut the potatoes in small pieces lengthwise.Lengthwise cut the jhinge and egg plant in small pieces.Slice the onion.keep everything separate. Heat oil in a pan. (With time I have learnt that when cooking with mustard paste its best to use mustard oil. If you don’t want to do so just mix a few drops of mustard oil in you regular cooking oil to get the best flavor). Temper with paanch foron and dry chilly. Once crackle add the sliced onions. Sauté till the onions are lightly browned. Add all the vegetables, salt and turmeric. Mix well on a low flame and cover. It will take some time, as a lot of juice will come out from the vegetables. Check from time to time and stir well to prevent it from sticking to the bottom. When the veggies are tender and there is very little or no water in the pan add the mustard mix. Mix well, cover and cook on medium flame. When it starts to boil add the fried wadi. Give it a good stir. When all the veggies are coated with the gravy, mix a few drops of mustard oil and serve with steamed white rice. For the Raddish greens take the tender leaves of the vegetable. I cooked this dish with the crop from my garden. I sowed the seeds too close and some radishes dint grow that big like the others. So I chopped the small radishes with the greens…I believe this has enhanced the taste. Chop the raddish greens finely and soak in water for 10 minutes. Wash and cut the potato (don’t remove the skin) and eggplant in thin long wedges. If you are using the prawns then smear some salt and turmeric and keep aside. In the same oil add the panchforon and chillies. Once they splutter add the onion and fry till light brown. To this add the chopped greens along with the veggies. Mix well with salt and turmeric. Cover and let it cook in its own juice. Keep the flame on low. Once the water from the vegetables dries up add the mustard paste mixed with 2/3 cup water. Mix well and check the seasoning. When it boils add the boris, it will soak a lot of water so keep an eye on it. Once the water dries and the veggies are cooked pour the ½ tsp mustard oil from top. Mix and serve with hot steamed rice. The consistency for both these dishes would be coating gravy or what we call ‘makha makha’ in Bengali. So please adjust the amount of water accordingly. Also adjust the amount of mustard paste as per your taste. These bowls of green Charcharis are off to Ayeesha's CWS: Nigella Seeds started by the very creative Priya. radish, radish green, muli ki sabzi, muli wadi subzi, muli bhaji, mulo shaak, mulo charchari, mulo'r ghanto, radish green in mustard sauce, bengali radish green curry, charchari, charred dish, charred vegetable, Bangali mulor tarkari, mulo shak tarkari, shaag, shaak, note shak, punke shaak, leafy green curry, curry with rice, side dish, leafy green side dish, leafy green with mustard paste, leafy green with prawns, chingri mach die mulo shaak, chigri die charchari, shak charchari, chachori, bodi jhal. borir jhal, panch foron. panch futan, kancha lanka die sorshe bata, sorsher tel, mustard oil in curry, Indian side dish with rice, how to cook greens indian style. Tumi na ekta ebaar boi publish koro. Aaj kaal kaar din'r ki aar keyu Mulor Shaak er Charchari Blog world e dekhte paye. Ma ra bonthi diye mulor shaak kaat-to aage. Mone aache? Shaak - bhaat khaao aar weight lose koro. Raddish green dish looks delicious. Bengali wadi is different or it is similar to punjabi one. I would like to try some time. I love mooli shaak. Both the charchari dishes look yummy...I like charchari with pui shaak a lot All the best for your Durga Puja preparations. Dekhe khide peye gelo.Darun hoyeche dutoi !! Both the dishes look very healthy and tasty..Thanks for sharing..
Mulo shaker choccori ta bhabchilam ki kore randha jaye. Tomar post ta thik time e eshe galo. Ei shob preperations amar dida ke korte dekhechilam. Prai bhule jete boshechilam. Thanks for sharing. 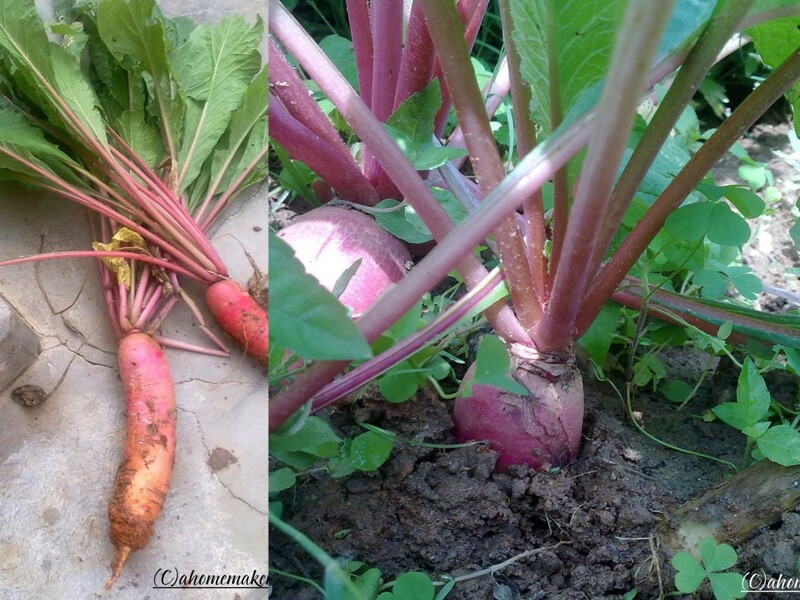 Looks great.. Love your garden..
Just can't get over how cool the fresh radish growing in your garden looks..its so exciting na!..looks like the dish came out really well..very authentic.. Very droolworthy and healthy radish dishes, looks yummy..
note shaak khete khoob bhalo lage kintu ekhane saab market e pawa jai na. last time ekta mota aanti peyechlam, tai teen din khyechi. ebar mulor tatka tatka shaak pawa jabe aar sheete ranna korte bhalo lage. kintu aami ekdom onion add kori ne...puropuri niramish...piyajer gondhota amar khoob ekta bhalo lage ne. tomar lekha pore mayer katha mone porlo. Sayantani, pujo to eshaee gelo...excitement nah!!! 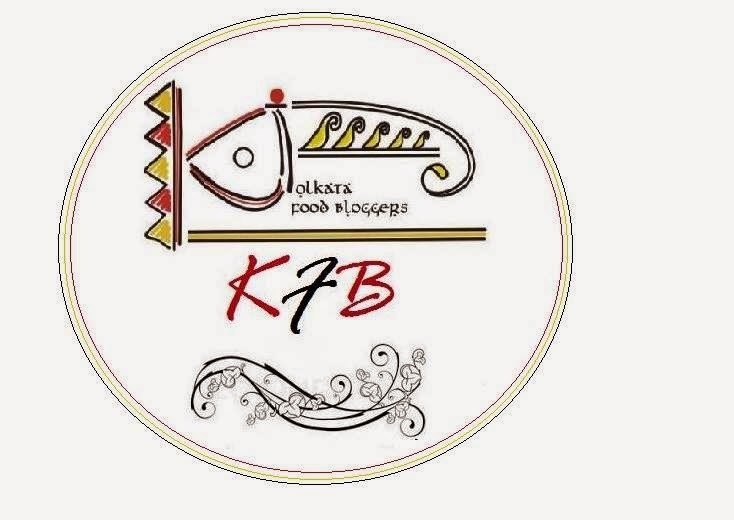 tomar pujo khub khub bhalo katuk. ami hoyeto bari chole jabo ... tai agey theke wish korlam. Hi. The shaak looks really nice and love the ingredients going into it. hey sayantani, i was just reading your comment on sumas blog and realized we stay so close. I am put up in BTM ;) small world huh! Shaak loooks healthy and delicious. Totally new recipe, looks very delicious. Good luck in your weight loosing program. Regarding your question in my blog, yes you can send them, looking forward to your entries. A very nice recipe sayantani. I normally throw away the greens. Now I have a recipe to cook the radish greens :) Thanks!!! @Swathi, Bengali wadi is generally not very spicy like its Punjabi counter part. you can cook this dish with punjabi wadi also. check these links for Bengali wadis. @Tanvi, I would look forward to the Punjabi version of muli wadi subzi from you. @Deepa, rendhe bolo kamon holo. @Anjali, I love this word Lap-lapit...it has a nice ring to it. 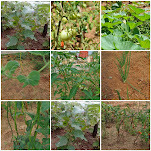 @Padhu, yes thats the best thing about kitchen gardens. now my son loves to pick veggies from the garden too. @Suma, now that we live so close by we should definitely meet. @Priya, Sushma, Nisha...thanks. this dish tastes great with rice. @Gouridi, pujo ele khub bari jete ichhe kore. mone hay bari jete parlam na maa natike dekhte pelo na bole ma babar kato kasto habe. tabe Oct e baba asche tai ami khub khushi. @Sharmila, kal tomar katha khub mone porchilo. tomar oi patol bhaja baniechilam. haat akhono sare ni kano? bari jachho seto khub bhalo. ma babar kache gele dekhbe mon bhalo habe. ar pujote tomay pele orao khushi haben. ar pujor pare December e barang Santiniketan chalo. amio jabo 7 i poush melar somoy. tomay sab ghurie dakhabo. jabe? @Rekha, I follow your blog regularly but dint know you are in Bangalore too. 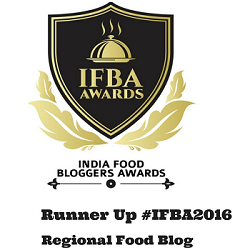 now we should arrange one bloggers meet with lots of food and chat. @Home cooked, will surely send you the link dear. Mulo shaker chochori oshadharon hoyechhe. Kotodin hoye gechhe khaini. Onekdin por eto sundor r pochhonder khabar dekhlam. Delicious lagchhe r ichhe korchhe ekhoni khai. Durdanto hoyechhe chhobigulo. This is looking really tasty! I love the radish green and this is a very delicious way of using them. Have read so many food blogs but your recipes are truly special and the way you explain the finer details within the brackets. You are the best and your intro before every recipe opens up the window to a beautiful world of storytelling which leaves us mesmerised. Thanks for sharing them with us. Have read your profile and you need to be really proud of your achievements by juggling so many things in spite of being a mother. @Anon, thank you. am truly touched.